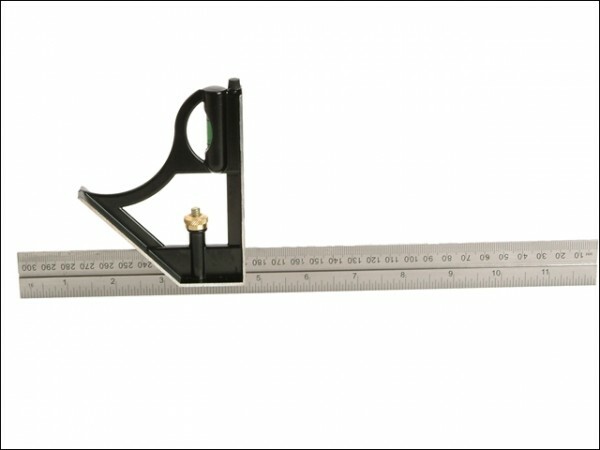 A versatile measuring instrument with matt black die-cast stock, brass locking screw and polished steel blade with markings clearly etched on both sides, fitted with a seperate scriber. This tool can be used as a try and mitre square, depth gauge, steel rule and straight edge. Spirit level gives horizontal plumb on 45 degree readings. Centre head enables the centre of circular objects to be located.